At most markets there are certain foods that are almost always good buys. In different areas of the country these foods will vary, sometimes considerably. For instance Grits are a great buy in the Southern US but in Australia they are impossible to find. Conversely, there are good buys in Australian supermarkets that I will never see here in the States. Regional differences demand that each person customize this list for themselves. To help you on your way I provide my list as an example. These foods will not be right for everyone. Use my list as a spring board for making your own. Consider all of the stores where you normally shop. For me this includes a discount super-store with a massive grocery section, a warehouse store, natural foods store, small ethnic market and a dollar store. Some of these places I only visit a few times a year, others I may visit as often as once a week. Each store has different products that are available inexpensively on a regular basis. Remember, this list should contain the items that you consistently find at a reasonable price, without a sale. The point of making this list is to discover the foods that are most available to you. These foods should make up the bulk of your purchases and your cooking week-in and week-out. Once you have a clear idea of which items you can consistently afford, you can begin to collect dishes and recipes based upon these ingredients. Here’s an example from my kitchen. Sirloin steak is seldom cheap enough for my budget. Even when it’s on sale I can buy 2 pounds of ground beef for the price of 1 pound of Sirloin Steak. Since I know that steak is not in my budget then it would be silly for me to collect 5 or 10 recipes on how to use it. Even if my family loves sirloin, the high price makes it a special occasion meal only. On the other hand ground meat, either beef or turkey, is very reasonably priced. I can afford to serve it several times a week if need be. The family quickly tires of burgers and spaghetti so I owe it to myself and to them to discover new ways to make ground meat appealing. I need to keep my eye out for new ground meat dishes to add variety to our daily diet. When I look for new recipes a quick check of the ingredients will tell me if they call for exotic items that I’m not likely to have on hand, or if they are made from affordable basics that are on my list of budget staples. The recipes that use budget foods are worth trying. The recipes that do not and cannot be adapted to budget foods, should be passed by completely. Another important note, it is not necessary to buy all of the items on the list. Some of these groceries I keep on hand regularly and others I only buy for specific purposes. The point is that I know the foods on this list are reasonably priced and I can count on them to be affordable on a regular basis. By following this method of identifying my best buys and then developing dishes and menus based on these items, I automatically reduce the money I spend on groceries. The process is ongoing. Your list will change as you discover new resources and decide you can make do without certain items. As you refine your list you’ll be amazed that the products you used to think you couldn’t live without are now needless expenses that you happily do without or make yourself at a fraction of the cost. Click Here for a printable PDF file of Consistently Low-Priced Foods. Click Here for information about the extras that I buy when I have the cash. You’ll notice at the end of my list that there is a separate category for foods I buy when I find them on sale or when I have extra cash on hand (not very often). For example, my family and I eat chicken-leg-quarters because they are so cheap. We like breast meat though, and when chicken breasts are on sale I stock up. At their normal price I can’t afford them, but on sale they add another dimension to our meals. Aside from sale meats the rest of these foods add variety and exotic flavors to our diet. Goodies like coconut, chocolate chips, marshmallows and nuts are yummy for baking. A new ethnic foods market opened up nearby so I’ve been able to add foods like coconut milk, chipotle peppers and green curry paste. These make even the most boring meals exciting and new. Most of these flavorings last for a long time so they seldom need replacement, and at the new market they turn out to be quite affordable. A few of the canned vegetables in this category don’t add much nutrition but they do add variety. My local Dollar Store has begun carrying green chili peppers, bamboo shoots and water chestnuts for 50¢ a can. When I’m experimenting with new dishes these little extras are nice to have. I can’t afford to use these types of things in every meal, but now and then they liven things up at a reasonable price. If you have favorite foods that you can only afford under specific circumstances then write them down in this category. You will not always be able to buy them, but when they are affordable you’ll be one step ahead of the game. This also eliminates or at least diminishes feelings of deprivation that sometimes crop up on a tight budget. You know that when the time is right you will make room for something special. After completing your list put it in your kitchen binder and refer to it as needed. 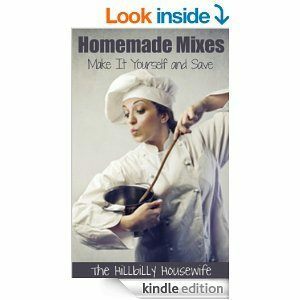 It’s a great help for making menus, evaluating new recipes and making out your shopping lists.